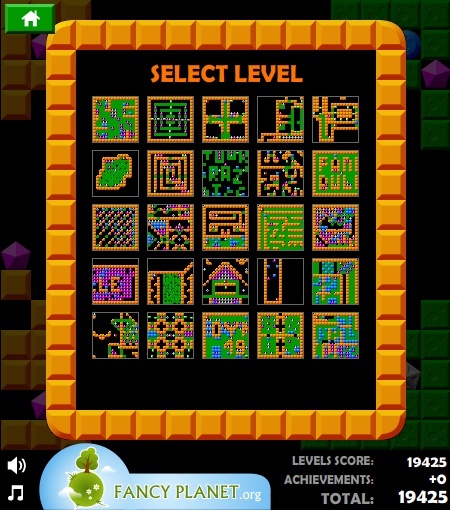 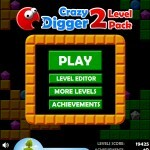 You can create and share your own level using ingame level editor and may be it will be included to next level pack! 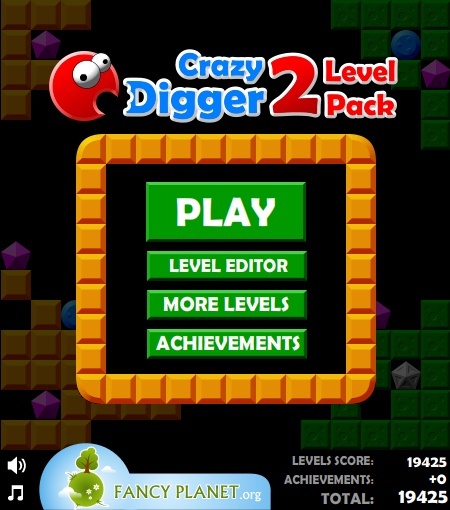 Enjoy the level pack and more levels while we are developing Crazy Digger 3 with new objects and more interesting ingame achievements. 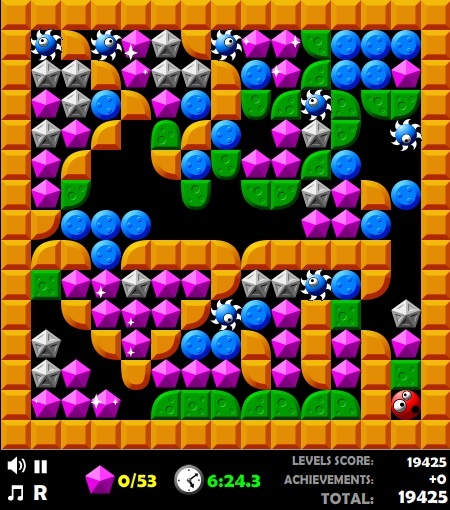 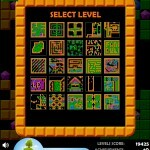 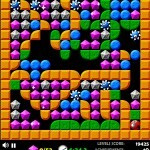 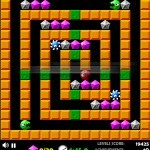 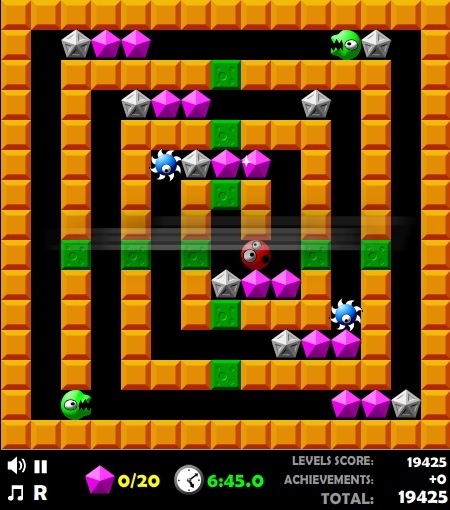 Use arrow keys or WASD to move, dig through green tiles, push stones, collect crystals and avoid monsters.